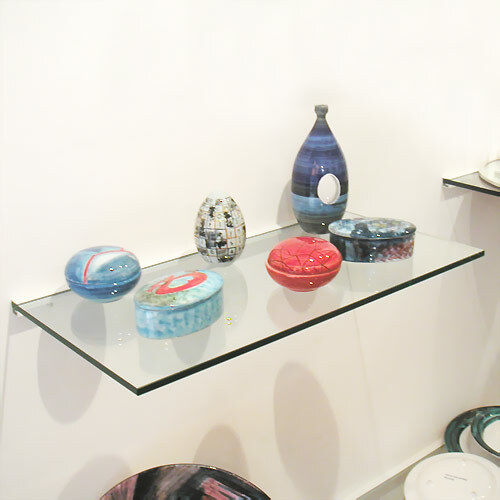 This Glass Shelf is a great way to display your products in your gallery, office, exhibition or home. 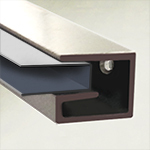 The glass shelf itself is 6mm in thickness and 15cm in depth. The length is 50cm, however custom lengths are available at an extra cost (please contact us to discuss). It can hold up to 8kg (15lbs) in weight. Shelves are clear glass, but frosted finishes are available. The bracket is screwed directly into the wall where you would like your glass shelf to be. Then place the Plastic-strip provided, over one side of the glass; and slide that covered end into the track. Finally tighten the support screws on the under side of the rail. Once installed, the effect given is that of a glass platform emerging from the wall. Its never been easier! 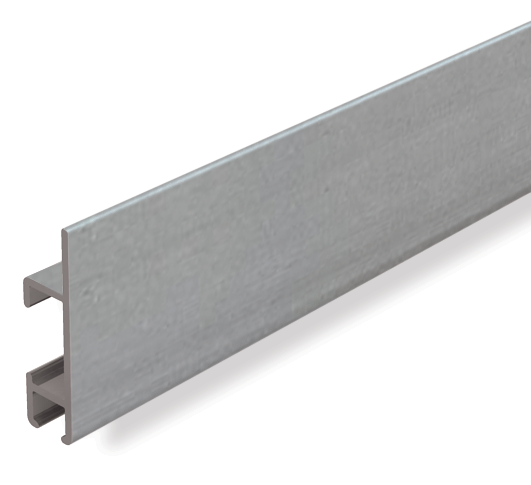 The aluminium rails are a standard white color and are practically invisible against a white wall. 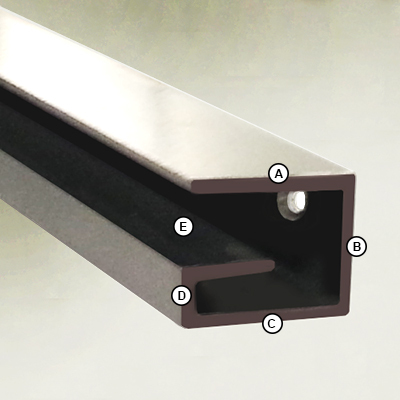 However, custom colors are available (At an extra cost), so that we can get the aluminium rails to the exact color tone you require!